A Practical Guide To App Store Optimization in 2018 - Take Some Risk Inc.
App store optimization (ASO) for your mobile app is important to stay competitive in the app store. This practical guide will cover what it takes to succeed in this crowded marketplace. We will show you what we have learned working with 5 apps over the last year. Today I want to talk about app store optimization for your mobile app and the lessons we have learned over the last year. Mobile isn’t the future. It’s the present. Mobile apps are changing how we interact with devices, websites and even with a brand. There are new opportunities being created by companies who want to create a relationship with their customer and provide something of value in return. This post will show the growth of mobile app, mobile search and what it really takes to gain a strong visibility in a crowded market place, while trying to drive engagement and installs for your app. This is installs that lead to revenue and happy customers. Not just installs for the sake of installs. When you look at the top 10 online properties in the US, 34% of visitors are mobile-only (comScore data). BuzzFeeds traffic is heavily mobile for the last 18 months and is only growing stronger each day. If you’ve any doubt that mobile is changing how we use the internet. Than you need to read Ben’s deck on Mobile Is Eating The World. This is no longer a revolution but a seismic shift in how business is done and how people will search for the future. I’d argue people are changing phones every 12 – 18 months now as we see Apple & Google release a phone every year. Plus Samsung and other manufacturers are trying to play catch up. If you can’t beat them, you join them as the adage goes. Plus kids growing up today don’t know a world without mobile devices. A mix of mobile apps & sites along with traditional results. This is especially true if someone is not searching for an app but a brand or a local listing. Only mobile apps and sites because someone is searching for an app about weight lifting or running. I have used an Android (OnePlus One & Pixel 2) over the last 12 months and I’ve seen an increase in the numbers of apps I get in my mobile search result page. I can’t speak for iOS users but I imagine they have had similar experiences the last 12 months. There will be a difference between how Google and Apple display the results for your app, however, it’ll be subtle differences you may not notice. Regardless of the operating system your app is for, you’ll need to have these areas covered to submit your app. The process is slightly different for each store but both require the following. When in doubt, optimize for Google unless you’re in parts of Asia, which may require a look at Baidu, Yahoo or Naver. Also, if you’re submitting an app in a category that does already have an app. I was in this position a few years ago. I found looking for similar companies that are connected to my industry, as this helped with a best practices approach. Keep it short and use a descriptive app name. If you don’t have a recognizable brand name. I’d suggest using your company name + a short description of what your app is for. At my last startup we used Mopp – Home Cleaning, which worked really well for us. If you’re stuck, use a few free keyword tools to help you figure out what people are searching for in your industry. Google Play uses your listing page title as your app name. For iOS, there are actually two names associated with every app. The first one is the “app name”, which has a maximum length of 30 characters (App Store on iOS 11 devices). The second is the “Sub-Title” name, which again is 30 characters in length with spacing. You don’t need to worry about the latter name for ASO, however, I’d still keep your app name to under 30 characters. This means you can use the same name across both app stores and not have to rewrite copy when you want to submit your app to the other store. In search results, the first 25 characters of your apps name might be the only words displayed on the results page. Make sure you keep the keywords you came across for the title. You’ll need to submit them with your app. You are limited to 100 characters in total. These keywords will help people find your app when they search for it. Try to think of all the ways someone would search for your app and keep your keywords as relevant and diverse as possible. This is especially true if you’re going international. Keyword Tools: KeywordTool.io, Google’s Keyword Planner, Sensor Tower. Beyond the subtle difference between iOS icons being square and Android having rounded corners. Keep your icon simple with your company logo or a recognized symbol that works across smartphones and tablets icons. Make sure you read the Colors of the iOS7 App Store and Standing out in a sea of blue: Which color should you pick for your icon?. Both will help you pick the right colour for your app to stand out. Also check out what the Top 100 Paid App Icons have in common (from 2011 but still relevant I feel). Blank lines count as lines. Use space sparsely. Unicode can make your copy look crisp and fresh. Just don’t go overboard. We kept ours at one paragraph at Mopp because we were selling a service and wanted to have as much information above the fold in the app store and not have our words wrap. Word wrap happens when a descriptions exceeds a character limit for that line. When a word goes over that limit, it is bumped to the next line. This is important because one word of word wrap can waste an entire line of potential ad copy. This is important: the length of your lines in your app description affects the placement of the fold. The fold is the point where iTunes, Web Preview or the iPad App Store app decide to make the user click or tap the More… button. Everything below the fold is out of sight, out of mind. Take high res screenshots of your app. I feel somewhere between 6 – 10 should satisfy even the more jaded mobile users. Show as much of the inside of your app and features that make your app unique. A picture is truly worth a thousand words in marketing. This is not a time to be shy. You don’t have much control over this. iOS mobile app listings display the iTunes URL to the App Store and Google Play links to their app store as part of search result. Part of your URL is tied to your app ID. Always keep the ID handy as you’ll need it regularly for both app stores. From your brand site to social shares. Make sure you get as many links back to your app as possible and make it an ongoing task within your marketing team. Talk with your PR and content creation teams too. Every link back to your app is going to help increase your rankings. If you’re having trouble getting reviews or need a helping hand as you don’t have the resources internally. Than look at services like Apptentive which is needed in this space. One thing to keep in mind if you’re getting bad reviews. Deal with them. Look at bad reviews as an opportunity to make a person love your brand even more. App Indexing lets Google index apps just like websites. Deep links to your Android app appears in Google Search results, letting users get to your native mobile experience quickly, landing exactly on the right content within your app. 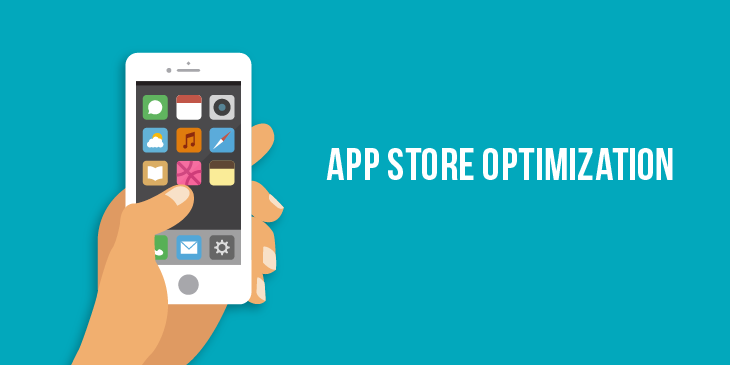 This is just a basic guide to App Store Optimization (ASO) that will put you on the right track to marketing your app. You still need to look at localized product pages, installs per keyword and even how your app performs by app store. Later this year I’ll get into A Practical Guide To Mobile App Marketing when you’re ready to spend some real money, which is more fun. However, if you take the tips and tricks above, then you can start off on the right foot for your app when you look at App Store Optimization (ASO). Nice post Duane. Very descriptive but we would like to know more. Would internal links within an app be a ranking factor for AppStore ranking or play store rankings? No one knows 100%. Otherwise, people would try to game the system. As on a site, internal linking is something you should do if it makes sense and helps the users. Don’t just do it to try and rank.